Do you want to create a blog or a website but you are not sure which of the platform is best for you? In this article, we will compare Squarespace vs WordPress to enable you to pick the best platform. Squarespace and WordPress are two of the top content management systems also sometimes called CMS and they are highly debated. They allow users to easily publish their contents without necessarily knowing web development or design. This is a for-profit Software as a Service (SaaS) company that is based in New York City. You will have to purchase a monthly subscription to use their service; this will give you access to their online website building platform. Everything you need to build your site is usually provided by the developers at Squarespace. Also, hosting and other resources that your site needs to stay online are all taken care of by them. WordPress, on the other hand, is an open source piece of software. The framework here is not owned by anyone and as such it is free to use, download, re-purpose or even sell their creations. This gives you a tremendous amount of flexibility and freedom. Squarespace is easier to use than WordPress, now this is not a huge deal if you are a highly skilled web developer but it is a pretty huge deal if you ever have the intention of updating your website on your own. WordPress, on the other hand, has a really steep learning curve even for an experienced developer it can be a struggle. If you have paid somebody to create your website in WordPress and maybe lost touch with that person and you go to hire somebody else to update your WordPress website for you there is a chance that they won’t understand how it was put together. This is because every WordPress site comprises different plugins so they are all made in a different way. Every website will be a bit different, this can be a pro but it can also be a con in that they are hard to update, they are hard to maintain, and they can be almost impossible for somebody who doesn’t have a solid understanding of web programming, to begin with. Squarespace definitely wins by a longshot in terms of ease of set up. Squarespace has up to 59 themes; they are all nice and they are all mobile-friendly, responsive, fast, and lightweight. WordPress, on the other hand, has tens of thousands of themes; some of them are great while some of them really stink, some of them are free while some of them are paid for themes, some are very easy to set up while some are really difficult to set up but you have tens of thousands of them so I have to give the edge there to WordPress in the theme department. The biggest strength of WordPress is that it is an open source with a massive community of active contributors that help to create different plugins. This means the sky is your limit with what you can do on this platform. When it comes to plugins, WordPress allows you to get a little more functionality; maybe you want a specific kind of gallery or some kind of video background or something like that on your site. Squarespace doesn’t really have any plugins although there are companies that make plug-ins for Squarespace you have to pay for them. WordPress on the other hand have tens of thousands probably even more and the vast majority of them are free so WordPress really gets to win this one by a wide margin. Squarespace makes e-Commerce so easy I like to say it takes the fear out of e-Commerce especially if you have never set up a store before and you don’t know how all the payment, inventory, and stock keeping work together on your website. Squarespace used to be very restrictive before especially as regards e-Commerce and they allow only one payment getaway, however, they have made everything unlimited now. With WordPress, you have way more functionality but there is also a lot more setup as you have to find a plug-in ( See Also: Woocommerce ) that works for you and you have to set up your payment gateways. 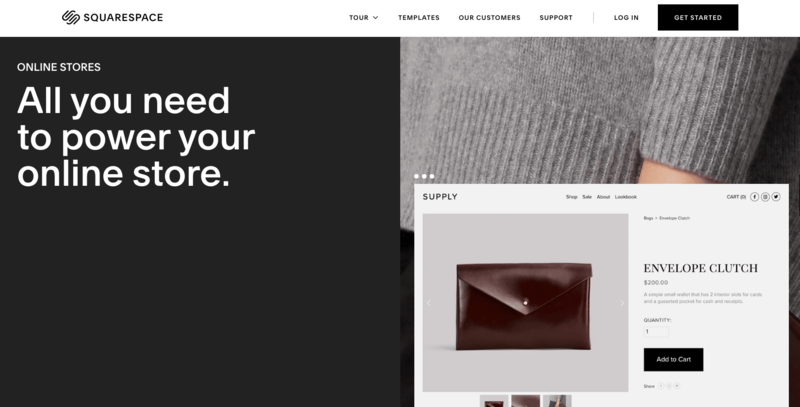 Squarespace is very easy to set up, so the edge goes to Squarespace when it comes to e-commerce. Squarespace allows you to edit the headers of your website but it is quite hard to get the type of SEO performance and organic reach out of Squarespace that you can easily get out of WordPress. WordPress is so finely tuned and there are some amazing SEO plugins that WordPress has available for free that provide you with great guidelines and things like that. I got to give the SEO edge to WordPress it is kind of not even close. They both do a great job of keeping things up-to-date. WordPress is an open source community that does an amazing job with updates. You can choose when to update or not, you can back up your server or your database and all of that. Squarespace also does a great job with maintenance or security. There is no clear winner here so I will call that a draw. WordPress is the clear winner here because there are virtually no limitations with WordPress but Squarespace has limitations as you can eventually get to a point where you can’t do much more. Although, there is a developer mode where you can do a lot you are limited with Squarespace. Squarespace is mobile-friendly, and it is inexpensive; you can’t go wrong with it especially if you have never designed a website before or maybe you are setting up your first shop. If you want absolute control over everything and you want a totally unique website that looks totally different then go with WordPress.